Planned Maintenance Scheme, PMS for short, is a detailed periodic maintenance program for machinery (including electrical equipment), formulated by the ship owner, according to the relevant requirements of classification rules and the device manufacturer's instructions. Ship machinery remains in good technical condition as a result to the program’s implementation and enforcement on board. 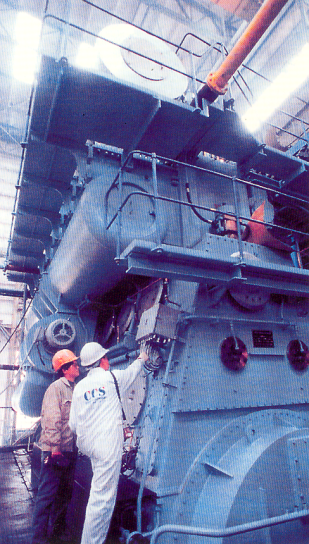 This periodic maintenance program management for ship machinery, called planned maintenance Scheme. PMS is a kind of survey which may be regarded as an alternative to the special machinery survey or the continuous machinery survey (CMS) and the survey items are to cover those of related special survey or continuous survey. PMS is applied by the owner, and approved by CCS. 3. 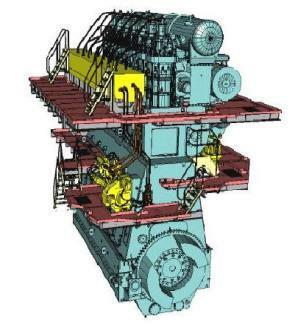 Ships implement PMS, its normative other survey about class maintenance periodic survey items can’t be changed and canceled, such as the annual survey, intermediate survey, boiler survey, tail shaft and propeller shaft survey. 3. Electrical equipment manufacturer's instructions. After the above information is qualified, a site audit should implement to company, if qualified, CCS issue "Certificate of compliance for the management of PMS", with valid date not more than five years from completion date, in addition, CCS should arrange for ship initial audit. After receipt of the application and documentation submitted by the owner, CCS is to examine the documentation in time. 4. Software version update has been approved (if applicable). If audit is qualified, certificate should be issued. 4. Repair records and renewal of spare parts, the components or equipment which have been replaced are to be kept for inspection by the Surveyor. Company should apply before the expiry of three months, CCS headquarters arrange audit, submitted information and audit requirements are same to the Initial recognition. Once the audit is qualified, CCS headquarters continue issuing "Certificate of compliance for the management of PMS" with a period not exceeding five years. 2. PMS software modification occurs or revision upgrades.